When it comes to Starwood or Hilton properties within South Africa, it’s a very limited selection. 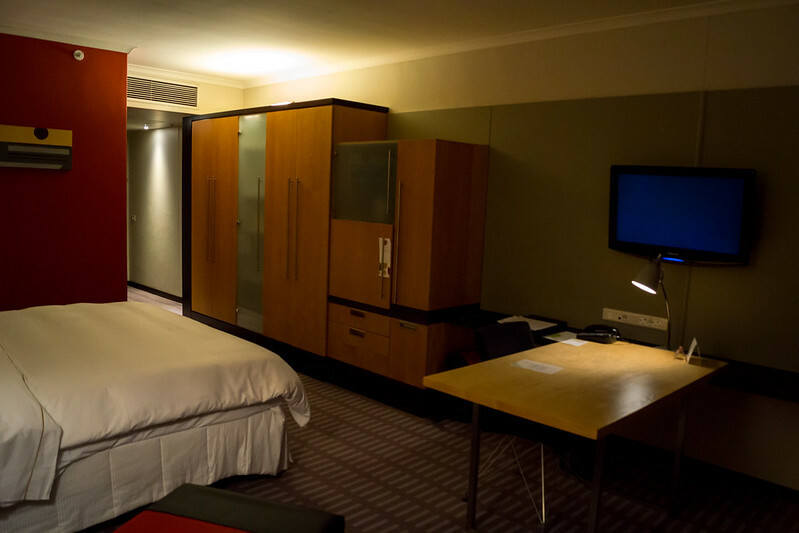 Since I had already stayed at the Hilton in Johannesburg and the Conrad in Knysna, I figured that my one night in Cape Town would be a good use of some of my SPG points. As a Category 4 hotel, the Westin Cape Town would only set me back 10,000 starpoints for a standard room. 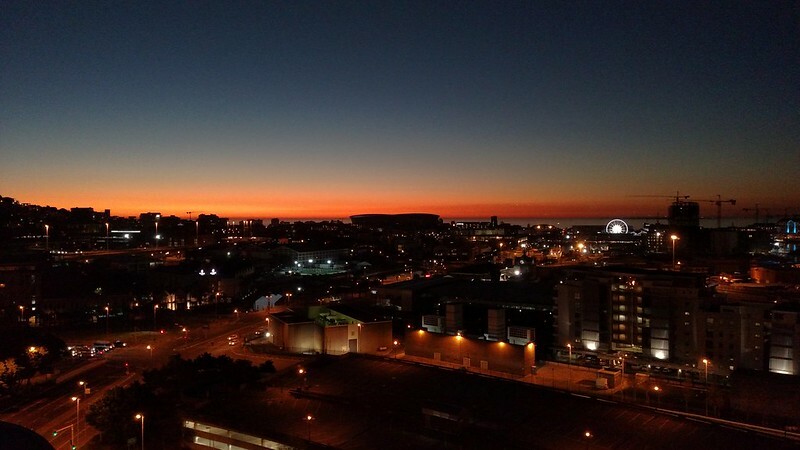 My other two options for stays within Cape Town were the Hilton Cape Town City Centre and DoubleTree Cape Town – Upper Eastside; neither of which looked like they would be as good of a property as the Westin. The DoubleTree for example appeared to be in a less-than-desirable neighborhood (and furthest from the waterfront) and the Hilton just didn’t look very appealing. Especially when compared against the much more modern Westin which is also a short ride or walk to the waterfront. Driving up to the hotel is very straight forward coming off of the highway and it is directly across from the entrance of the convention center that it is connected to. Immediately after pulling up, a belhop started helping with unloading my bags (err, one rather heavy duffel bag) while one of the valets got my car squared away and ready to be parked. Upon entering through the glass entrance I made my way to the check-in desk. I didn’t even have to wait a second before one of the front desk staff started to help me and check me in. She was exceptionally friendly and was surprised that I had come all this way only to spend one night and the better part of a day in Cape Town! I told her that I wish I could have more time, but I had many more places to visit on this trip before I had to be back home in Florida in a little over two weeks. She did give me some suggestions for things and gave me the rundown on the hotel while also informing me that I had been upgraded. 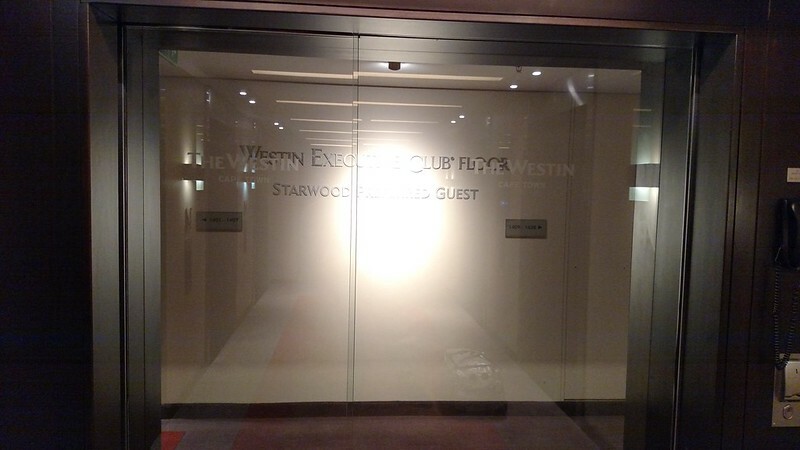 The difference between the room I had booked and the one I had been upgraded to was that I had been put on the Executive Club Floor, a view of the waterfront, and of course Executive Club Lounge access. Otherwise, as best as I can tell the rooms are otherwise the same and provide a decent amount of space both in the bedroom and bathroom. 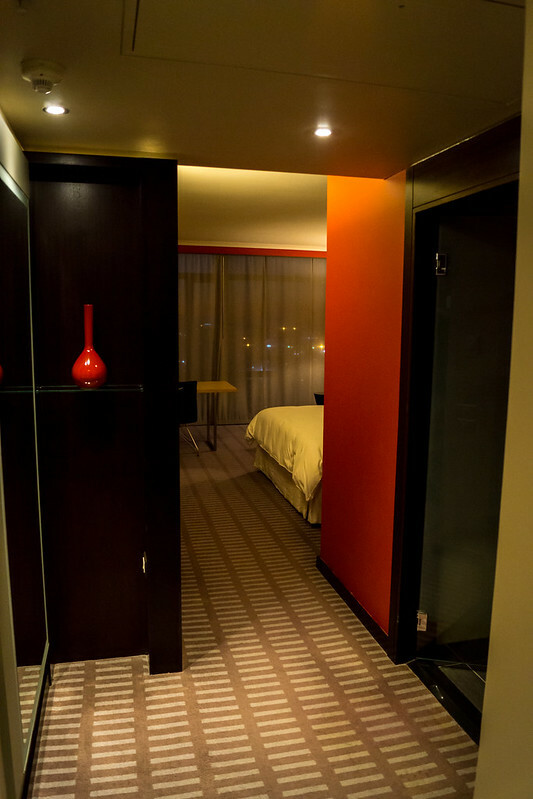 The room had a slight modern touch, but felt warmer versus how some modern design aesthetics are dark and “cooler”. As typical with a Westin, the bed was very comfortable and being a King, provided me with more than enough room. 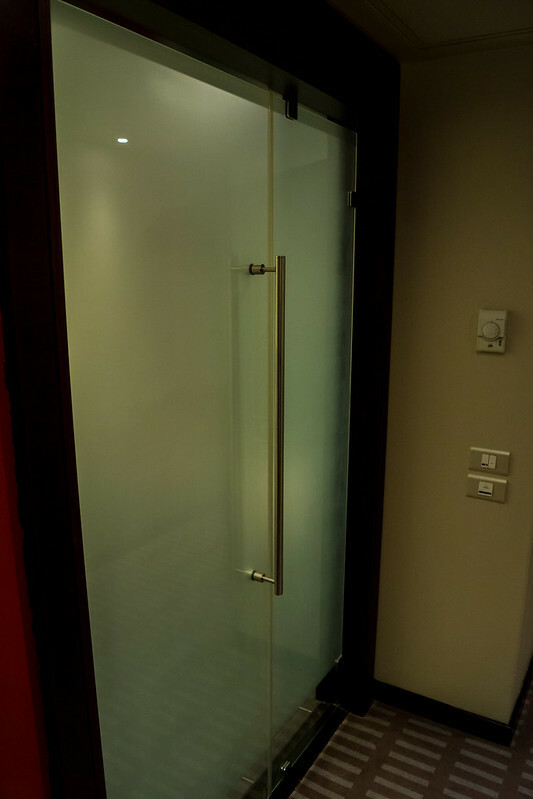 The use of glass doors continued with the entrance to the bathroom, which was located between the main area and the entrance to the room. 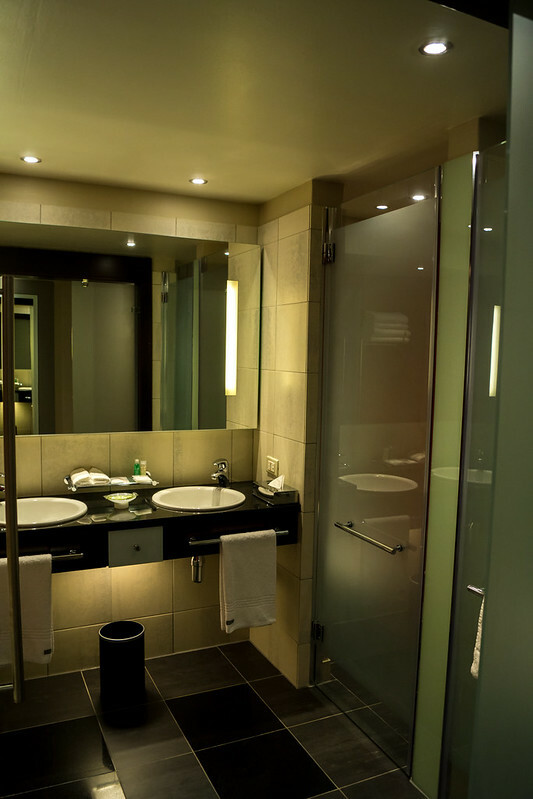 There was a separate tub and a large shower, with the toilet in a separate room off the main bathroom. Two sinks and plenty of counter space would give anyone traveling with a partner plenty of room to get ready in the morning at the same time. 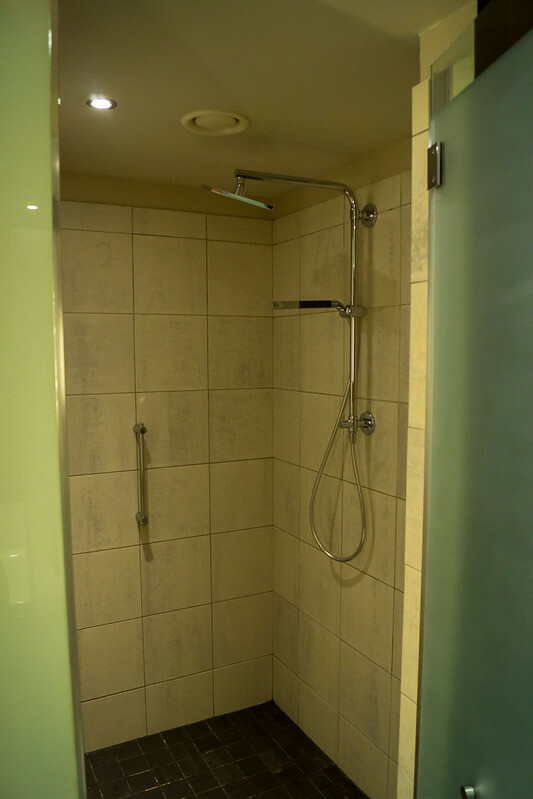 Nice Large Shower, Plus Good Water Pressure! Finally, there is the view that I had from the room. 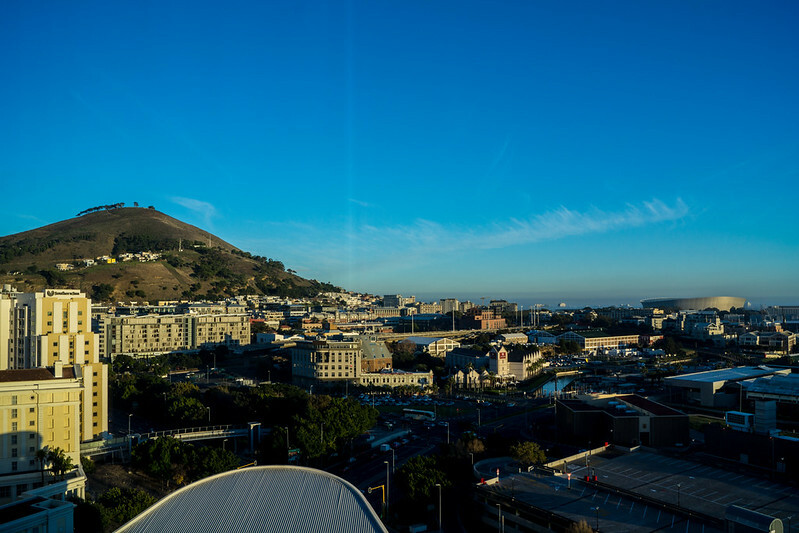 While not the best hotel view in the room, I think for city center hotels in Cape Town this might be one of the better ones. 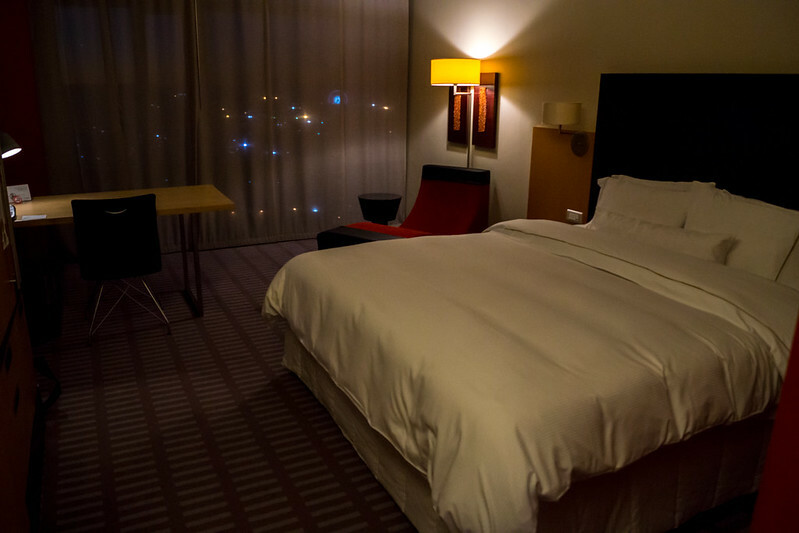 Although I admit, with my super small sample size of hotel rooms in Cape Town…so I may be wrong on that. Being that I only stayed in Cape Town for one night, I was not about to eat all my meals and drink all my drinks at the Westin. I did however take advantage of eating breakfast my one and only morning there. 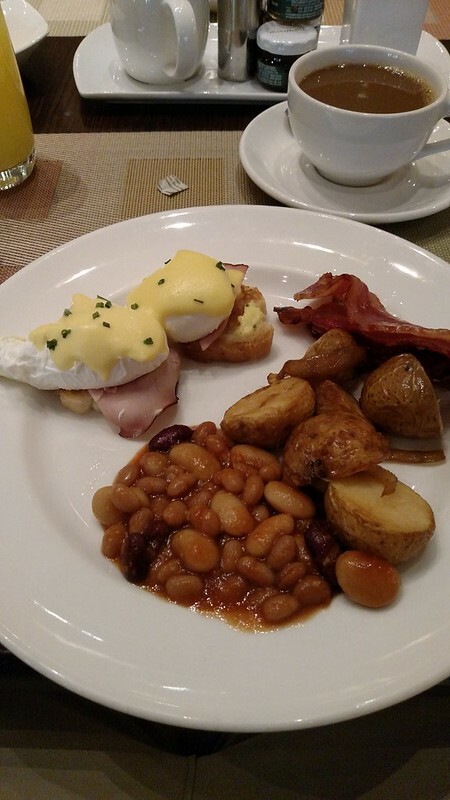 Off the lobby is where the restaurant Thirty7 is located, which in the morning features an extensive breakfast buffet. The quality and scope of the spread was very good, including foods that a number of different cultures could enjoy (featuring both Western and Asian options). When I checked in I had request a 4:00PM late checkout as I was catching a flight back to Johannesburg at 7:45PM, and I didn’t necessarily want to leave all my belongings in the car while I explored the city. Plus, being able to take a quick shower definitely is nice! I made it back to the hotel at about 3:30PM and asked the valet if they could just leave my car up front, as I would be back down in less than 30 minutes. I headed upstairs, grabbed my bag, grabbed a quick shower, and headed back down to check out, which took all of 30 seconds. One of the belhops took my bag out to my rental and off I went! It couldn’t have gone any easier! Overall, while my stay was short it went very well. Of course I can’t touch on many aspects of the property due to just not having been there for more than 24 hours (actually less than that by an hour or two), but between my limited interaction with friendly staff, rooms that are in great shape, and a location that makes it an easy base to explore, I would definitely recommend it. However, the one thing that it does have going against it are the average rates at this property. While I took advantage of a free night for 10,000 starpoints, average paid rates for the time I was there were in the $300US range. From all the searches from trying to plan a trip to Cape Town in the past and for this trip, it does seem to stay rather high. This is probably due to the location (connected to the convention center), so if price is of a concern than other hotels may be a better fit. 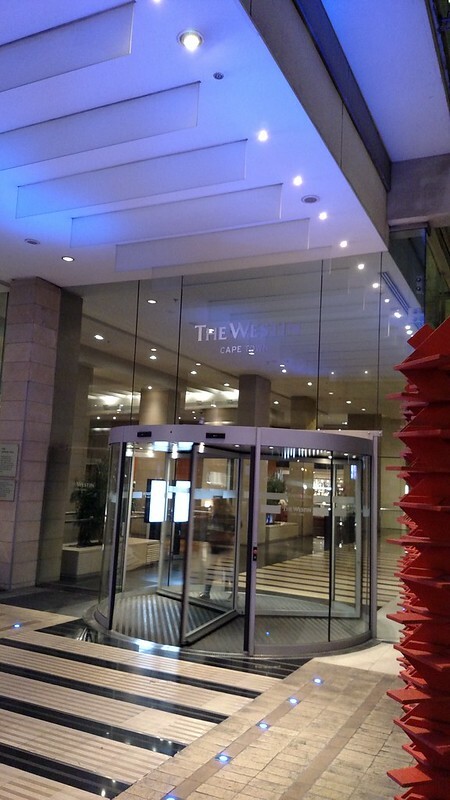 But, if you have starpoints or are willing to spend a little more, I think you’ll find the Westin Cape Town to be a great option. This entry was posted in Africa, Hotels, RTW, South Africa, SPG, Travel, Trip Report. Bookmark the permalink. Follow any comments here with the RSS feed for this post. Post a comment or leave a trackback: Trackback URL.